I finished a really, really fast-paced novel a couple of days ago. The characters were interesting and well-developed, the plot hung together and made sense. The action was explosive and intense. The book was boring. The author didn't understand the importance of pacing. Imagine a movie where they cut to the chase immediately and it never lets up for two hours. One hair-raising desperate move after another. Bang. Bang. Bang. Close call after close call. Near collisions and real side swipes with parts falling off. I'll guarantee you the patrons will be checking their iPhones in very short order. 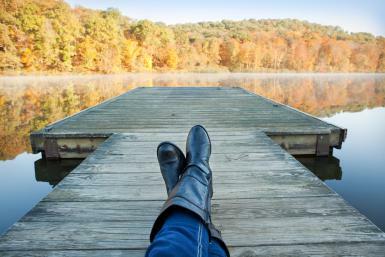 Readers and movie goers need to rest between scenes. The 'tween time is a perfect place for back stories and to build up motivation for the next confrontation. It's also an ideal time to introduce any necessary historical material and comments on the setting. Flashbacks used to provide an ideal venue. This technique lost popularity, but I've noticed flashbacks are returning. Whether flashbacks or back stories are used, insertions of this nature can provide a springboard into the next crucial scene where all hell breaks loose again. An example of the use of a breather between a scene that propels the protagonist into the next scene: Tom and Jerry have just had a vicious verbal confrontation. Tom, our hero, loses big time. Jerry, his big brother, taunts him and feeds his fury. Tom slams out of the room. During the time he's licking his wounds he recalls (in back story, not a full flashback) other times that Jerry made him feel this way. He broods on all kinds of unfair incidents from the past. The girl friend Jerry moved in on, the time Jerry blamed him for wrecking the car. What’s in a book signing for a mid-lister? 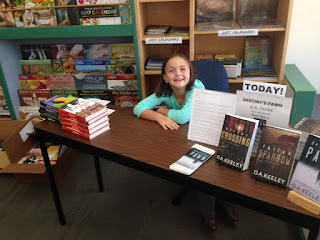 Book signings are tough and getting tougher, according to most bookstore owners I meet. Attendance is down, people are ordering online more and more, and the entire proposition is risky for the store (especially the independent stores) who face returning unsold books at the conclusion of the event. This summer and fall, I did several signings/readings/book talks at various locations in New England. Some at chains, some at independent stores. I continue to be amazed by the spirit of the inde booksellers. Here is Western Massachusetts, I have several indes, including World Eye Bookshop, in Greenfield, Mass., which has been around for 40-plus years, and Mystery on Main Street in Brattleboro, Vt., a place I go to ask for “a mystery I can’t find anywhere else.” The recommendations are always excellent. This weekend, I signed at World Eye. A handful of people walked through the front door, and it got me thinking about what’s in a signing for the mid-lister? At a slow event, most sales are what I call “hard-earned, hand sales.” This means I’ve chatted up anyone walking through the front door (standard pick-up line, “Hi, you like mysteries? I’ve written a trilogy featuring a single-mother and border patrol agent.”) or walked the aisles handing out bookmarks. This past weekend, at a 90-minute event, on a sunny Saturday afternoon, I had to scrape for every sale. Lynda is why people like me (a mid-lister) do signings. Yes, I know I do them to meet store owners and, more importantly, readers, and to spread the gospel of my protagonist Peyton Cote. But when you’re hand-selling each and every book to people who thought they came in to buy a New York Times bestseller, a loyal reader like Lynda makes your day. She arrived with a huge smile on her face, told her husband, “This was the book I spent all day reading.” We talked about Peyton Cote, each book in the series, secondary characters, and as she continued to rave two other people overheard her, approached, and bought books (who needs plants, when you have Lynda?). Our conversation was so great I forgot to get a picture with her. And readers like Lynda make your day once in awhile. We’re having a September heat wave here at the beach, not conducive to thinking. So today you get random thoughts on libraries and books, things I’ve heard about recently. Pretty interesting and exciting developments. Then there’s Benjamin Franklin. I had heard that he was instrumental in the development of the lending library here in the U.S., but didn’t know many details. Apparently, he helped found the Library Company of Philadelphia in 1731, America’s first lending library and the predecessor of our free libraries. Franklin served as the librarian for the Library Company from 1733-1734. So, Ben Franklin was a librarian, however briefly! While looking into Ben’s activities, I discovered this site, The Library History Buff. http://www.libraryhistorybuff.com/index.htm It’s full of all kinds of info on libraries and, yes, their history, including vintage postcards of libraries, and all kinds of links involving libraries. And there’s National Hug a Librarian Day, which is August 25th. And International Hug a Librarian Day is March 1st, though there seems to be some confusion there. Anyway, I’m not sure I’d actually hug a librarian unless I knew them well, but we can show our appreciation by saying nice things to one. Then there’s Library Lovers Day on Feb 14th. Those are my random thoughts for today. Hope you found some of them interesting.And if you happen to be in Manhattan Beach, CA on Monday, October 17th, I'll be on a panel there with Lida Sideris, Sarah M.Chen and Jennifer Chow at 7pm. I’m well behind my time once again this week, but it has been an extraordinary day in a number of most excellent ways. I go to Toronto’s world famous St. Lawrence Market every Saturday, usually in the company of one of my adult sons. We’ve done it for many years like clockwork and it’s a very important and enjoyable part of our week. So enjoyable, in fact, that I’ve used the market in several scenes in my most recent full-length novels. However, this past Saturday, I was playing the music teacher role once again in helping a friend and former student get a French horn class started down the road to their music careers, and so I didn’t get to the market. My son had the day off today so we went down this morning. It’s a completely different experience going there on a weekday. The stalls are less full of wares and the place has maybe 10% the business as a Saturday. We got a chance to chat with many of our shopkeeper friends. We came home, dropped off our goodies and then I headed back downtown to stand in line for tickets to an open rehearsal of Norma by the Canadian Opera Company this evening. While waiting (I scored a bench seat because I was there early! ), as is my want, I was scribbling notes and writing a bit of dialogue for a scene I’m working on in my current novel-on-the-go, and as usual, I was writing with my favourite fountain pen. A woman of a certain age sat down next to me and noticed my pen. I didn’t get much more work in as we compared our pens (she had a lovely vintage Waterman; mine is a special edition Pelikan my darling wife gave me a number of years ago) and discussed different brands of ink. Someone else in line overheard us and said he, too, loves fountain pens. Now, I love discussing fountain pens with anyone – but the day was about to get even better. The question of my journal soon came up. I told them I was working on a novel. I explained that I’ve already published ten and an eleventh is on the way in less than a month. That sort of set the two people back on their heels. They asked my name. Good question and one I’ve answered many times — as have most authors I know. 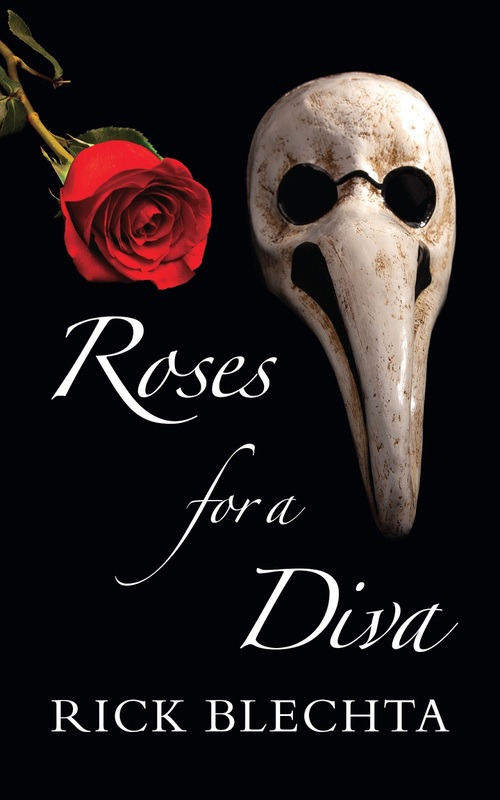 The end result was — after I revealed that my two most recent novels have an opera singer as the main character — these two new “friends” were going to head over to the nearby Eaton Centre to look for the two novels in question (The Fallen One and Roses for a Diva). I’m sitting here writing this post — far different from the topic I had originally planned for today — and I’m still on cloud nine. Looks like I’m out of step again. We’re talking about libraries on the blog, but I’m giving you a recipe for tomato soup. Perhaps I’ll tell you another time why I have been called the Margaret Atwood of Prince Edward County (and yes, it has to do with libraries) but I know that right now you’ve got countertops covered with tomatoes and you’re wondering what do to with them. The thing about tomato season, is that when it’s over, it’s over. Sure you can buy tomatoes all year round – hard, firm, tasteless things that have turned red by an injection of gas, not the warmth of the sun. 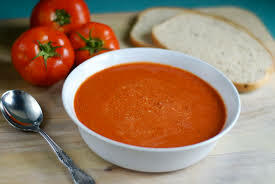 Last time I talked about my love of tomato season and I’ve since had requests on my Facebook page (https://www.facebook.com/evagatesauthor/) for my soup recipe. So here it is. Enjoy. Place tomatoes in a large pot of boiling water for about 60 seconds. Transfer them immediately to a large bowl of water. Cool, then peel off the skins and remove seeds. Broil peppers (turning regularly) until the skins are charred. Place them in a covered bowl until they’re cool enough to handle. Then peel and finely chop. Heat olive oil in a large, heavy-bottomed saucepan over medium heat. Add the chilli peppers, chopped red peppers and a pinch of salt. Cook for 5 minutes. Add garlic, and cook for 2 minutes. Add chopped tomatoes, another pinch of salt, and vinegar. Cook for another 10 minutes. Add the stock, bring to boil and simmer for 15 minutes. Using an immersion blender, tabletop blender or food processor, blend the soup to a smooth consistency. Can be served immediately or frozen. Enjoy! This soup goes very well with a good book. 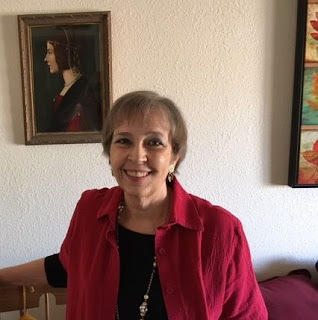 Last month I was in Albuquerque for Bubonicon 48. The event was originally known as the New Mexico Science-Fiction/Fantasy Convention. The name Buboncicon came from novelist Robert E Vardeman noticing that Egypt was not letting anyone from New Mexico into that country because the Land of Enchantment does have a problem with bubonic plague. As if Egypt is such a pristine environment? So the con was renamed Bubonicon and a rat was chosen as the mascot. 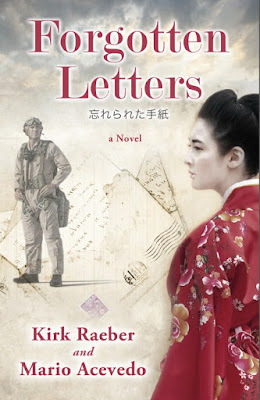 In other news, a book I co-authored has been released, Forgotten Letters. Although I'm known for tales about sketchy detective-vampires, I've always wanted to write a novel about World War Two. So in collaboration with Kirk Raeber, a physician and Navy vet from San Diego, we penned what I think is an awesome story about love, loss, and redemption set against the backdrop of the biggest violent clash in history. The estranged lovers are American and Japanese, but what makes our story different is that the romance is not about the internment camps in the US. Rather the American finds himself reuniting with his lost love in wartime Japan. And there's Shiba Inus. In 1924, eight-year old Robert Campbell accompanies his missionary parents to Japan where he befriends a young Makiko Asakawa. Robert enjoys his life there, but the dark tides of war are rising, and it won't be long before foreigners are forced to leave Japan. I'm been reading the wonderful stories my colleagues shared about the libraries that played such important roles in their childhoods and development as writers. I've been debating whether I would share my early library memories. But I think they're worth sharing. I loved the public library in my hometown, Danville, Virginia. When I was a child and teenager, the library was housed in the Sutherlin Mansion on Main Street. That section of the street was known as "Millionaires' Row" and is now in the Historic Register. The Sutherlin Mansion was unique in the role it had played in American Civil War history. During his retreat from Richmond, Jefferson Davis stayed there. Danville is known as "the last capitol of the Confederacy." Today, the Sutherlin Mansion is the home of the Danville Museum of Fine Arts and History.The public library moved to a modern building up the hill from the courthouse. I don't remember the first time I went to the old library in the Sutherlin Mansion. This is rather odd because during the Civil Rights movement, integration of the library became an issue. But I was young enough during that era not to be able to drive myself into town. We lived about five miles outside the city limits, in what was then called "country" (before the city expanded outward when the mall was built). There was no way for children to get into town unless adults took them. So I missed much of the discussion about the public library. I got my books from the school library. I don't remember when I went to the public library and got my card. I do remember being a teenager and browsing through all of the books in the adult section. I remember discovering books that I loved. I checked The Day Must Dawn by Agnes Sligh Turnbull out every few months. And then there was Mary Stewart's My Brother Michael. And all the books with titles that intrigued about subjects that seemed fascinating. I love nonfiction as much as fiction. What I remember about visiting the library was that the librarians sometimes looked at what I was checking out and offered smiling observations. What I remember is that they seemed pleased that I was leaving with my arms full of books. What I remember is that a library that was of the time and place in which it existed became one of my "good places" where I could go and discover other worlds. I was very sorry to hear that Michael Whitehead, husband of the wonderful Louise Penny, has passed away after a long decline. I had the extreme pleasure of meeting the Louise and Michael at my local public library several years ago. I sat next to Michael and we had a lovely and funny conversation about what it's like to be a writer’s spouse. He had on his usual bow tie and treated me as though he'd known me for ages. If you don’t know Louise’s work (and if you are a regular mystery reader, I can’t imagine that you don’t), please go forth and familiarize yourself tout suite. I had read them all, and loved them all, so I went to see her, just as I’ve gone to see many many authors. Now, I’ve been very impressed by how a number of authors handle themselves at events, but I must say that Louise blew me away. She is a true human being in the best sense. Even if I had never read one of her books, after listening to her, I would have given myself whiplash in my rush to buy them all. I’ve done many events myself, and do not consider myself an amateur at the game. However, I learned quite a bit from Ms. Penny on how to make a crowd love you. Allow me to share :The moment she walked in the door, she went around the room, big smile on her face, shaking hands with and speaking to every attendee. When she shook my hand, I said, “I’m Donis Casey…” intending to introduce myself since we have mutual acquaintances, but lo and behold, she knew my name! “Oh!” she exclaimed, “Let me give you a hug” Her pleasure appeared so genuine that I would now take a bullet for her. When she spoke, her joy in her craft and love of her characters and setting washed over the audience. To tell the truth, when she was finished, I felt a desperate desire to regain that feeling, which is easy to lose in the everyday struggle of life. I vowed to rediscover the pleasure of storytelling, and to remember why I chose to become a writer in the first place. However appealing and lovable a person Louise is, the bottom line is that she writes great books, full of heart and warmth, and true human frailty as well as strength, ugliness as well as beauty. If you want to be a successful author, you have to write wonderful books. Its quite a bonus to be a wonderful person as well. And so I offer her my dearest sympathy for her loss, and my gratitude for all the joy she has brought me and all her readers. Barbara here. This blog is all about promotion, including blatant self-promotion, which is shortened to BSP in social media parlance and which can be a tricky line to tread. Inundate Facebook with too much "My book is out! Buy my book! See review of my book!" and you risk people either hiding your posts, unfriending you, or perhaps more kindly, simply scrolling on by. Hit Twitter with too many tweets and retweets and likes about your newly released darling, and people will roll their eyes and label you another desperate, "in-your-face" writer. All of this hype can backfire, turning off the very readers you are hoping to reach, and yet without social media promotion, many a book sails off the publisher's production line, hits a few bookstore shelves, and sinks like a stone, because no one has heard of it. Professional review sites, publishers' promotion budgets, newspaper book pages, and radio appearances – all these promotional tools are shrinking at a time when the number of published books is exploding. Unless you are an international best selling author, who ironically doesn’t really need the media attention he or she receives, much of the effort to get the word out will fall to you. With social media and other promotion, the key is moderation. Sometimes less is more, with as much give as take. Connect with people, listen and comment, encourage others, form relationships. For me, that's where the launch party comes in. A lot has changed since I published my first Inspector Green novel in 2000. Social media like Facebook and Twitter were non-existent. Many of my friends and potential readers didn't even have email (except possibly a work email account). At that time I was so excited to celebrate my first book that I wanted to invite almost everyone I had ever known to my launch. I painstakingly printed out cards and address labels using Word software, licked envelopes and stamps, and mailed out hundreds of invitations. Quite a few people came to the launch, but many more were alerted to the book's existence and went out to buy it. With subsequent books over the years, I have gradually phased out the printed invitations and I now rely exclusively on email and on social media event invitations. I know other authors have become much more media savvy, using newsletter sign-ups from their website to broadcast their news and using Mail Chimp or other email services to organize their mailings. I love to write, but I don't have a twelve year-old handy to keep me up to date with the latest tech advances. But I do love a good party. I think it's one of the most enjoyable ways to get the word out and to share my excitement with others. Whether they come or not, they learn about the book. But I am not one of those writers who invites friends from California to my launch in Ottawa. If you do that, the whole thing loses its personal touch. So in addition to social media announcements, I keep track of emails from readers and friends, and individually invite those who live within a reasonable distance to the launch. To others who I know are interested, I send a personal note announcing the book. It's time consuming, but as I said, I love a party. Which brings me to the crux of this post. My launch parties! 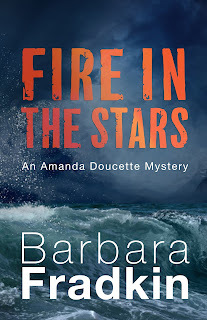 FIRE IN THE STARS, the first in my brand new Amanda Doucette series, has been on the shelves a couple of weeks now, and I have lined up two launches. The first is in Ottawa, September 28 at 7 pm, at Mother McGinty's Stage in the Heart and Crown Pub, 67 Clarence Street in the Byward Market. Parking is not as horrendous as you might think; there's a parking garage across the street. 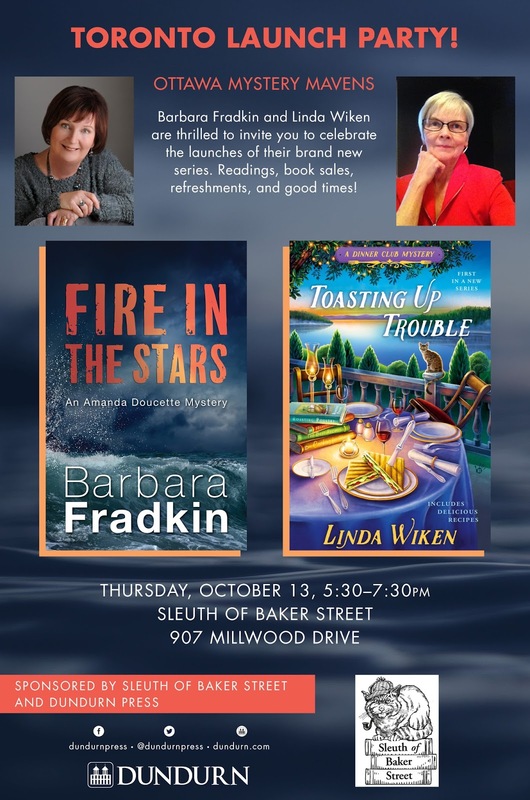 The second is in Toronto, October 13 at 5:30 - 7:30 pm, where else but at Sleuth of Baker Street, 907 Millwood Drive. 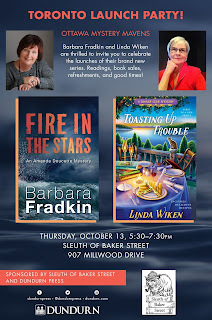 Because it's way more fun, I am sharing both these launches with my good friend Linda Wiken, who is launching her first brand new Dinner Club mystery, TOASTING UP TROUBLE. At both launches there will be nibblies, drinks, book talk, and readings. A great opportunity to stock up for those long winter nights, or for early holiday gifts. 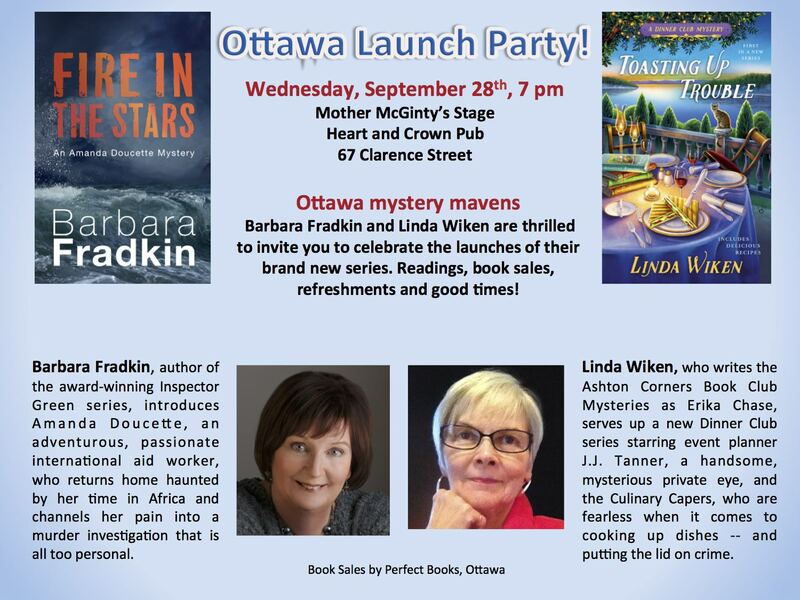 For those of you who live within a reasonable drive of Toronto or Ottawa, please come on down and help us celebrate the joy of seeing a book launched on its way. 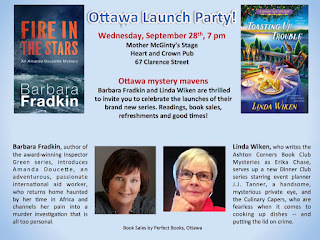 It's all free, and you get to share the night with other book and mystery lovers. Which is one of the unexpected delights of the book launch experience. I hope you’ve enjoyed Sybil’s and now Aline’s memories about libraries as much as I have. Judging by the number of people who’ve read them, it seems there’s a real interest — so here goes mine! 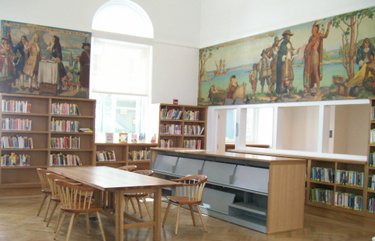 The Mamaroneck Library adult reading room as it is today. Mamaroneck has a lovely library, carefully added on to over the years, but it retains its original reading room which has large murals depicting local history all around it. The children’s library was in the basement, and I spent a lot of time there, not just selecting adventure books to sign out, but doing research for school. It was run by a short, slender, but very imposing woman named Miss Bauman. All us kids were terrified of her because she ruled the room with (as we viewed it) an iron fist. If you took a book off the shelf, you’d better darn well sign it out or put it back in the correct spot. No leaving of books on her tables! Near silence was the word of the day, too. Only low whispering was allowed. What we didn’t realize at the time is that she was teaching us any number of useful things: how to use a card catalogue, how the Dewey Decimal System worked, why it was important to put things back where they belong so that they can be found easily again because they’re where they’re supposed to be. I could go on. I only realized later that she was patience personified when she was showing us “library things” and only became short when we didn’t follow her (sensible) rules. I’ve talked to a number of other friends who I remember from those library days. Our memories are the same: a velvet hand in an iron glove. But Miss Bauman is remembered fondly by us all — especially me. I still love libraries. When I was on the road as a musician in my 20s, I would search out the library in whatever town we were playing in for the week and spend my days there, either reading books I found or something I’d brought from home. It was a lot more pleasant than sitting in a hotel room watching TV or sitting in the hotel bar drinking all day (or worse). We have a beautiful and grand law library here in Toronto (in Osgoode Hall) and it’s generally empty. It’s also open to the public (when it’s not filled with lawyers studying for bar exams), something that’s not generally known. I wrote a large portion of my about-to-be-released novella, Rundown, there. In fact, Osgoode Hall is even in the book. 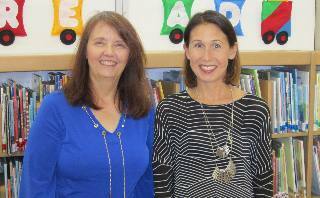 So thank you, Miss Bauman, for showing me the ropes and making me a life-long library aficionado. 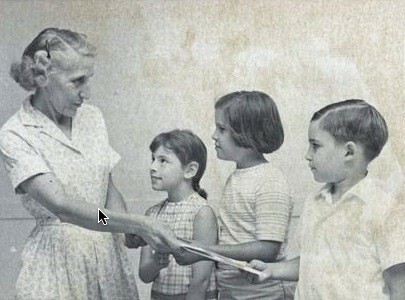 Completely off topic but still very interesting: Miriam Bauman started off in the ’30s as a teacher/librarian in one of the local grade schools. She often told the story of taking her class out onto the field to watch the Hindenburg float majestically overhead on May 6, 1937, only a few hours before her fateful crash in New Jersey. Interesting sidebar #2: My very good childhood friend (also my brother’s best man), Len Tallevi is now the president of the Mamaroneck Library’s Board of Trustees. Acknowledgement: Thanks to lawyer Henry Gluch for introducing me to the Osgoode Hall Law Library. I read Sybil's affectionate post about the library she had gone to as a child murmuring 'Yes! Yes!' to myself. Libraries played a hugely important part in my young life and have gone on doing so ever since. My parents were great readers and the house was full of books, so my parents hadn't really bothered to take me to the library. I only discovered it when I was walking home with a friend who was carrying some books and she explained what she was doing. I was frankly incredulous. 'You mean – you just go and they give you books? You don't have to pay or anything? I went in with her and met dear Mr Doig, the librarian. He explained you had to have a card signed by your mum to get permission but then yes, indeed, you could just take them. I almost snatched the card from him, ran all the way home, extracted the signature from my amused mother, and ran all the way back. His eyes twinkled when he saw this hot and breathless child and he was a good friend to me afterwards. For instance, you were only allowed to take out three books a day but if it was a Saturday, or the holidays, he let me take out another three if I'd finished the first ones by lunchtime. Indeed, so much did I appreciate it that I decided I might like to be a librarian. I think I had the idea that this just meant you got to read all the best books first and I hadn't understood the sheer sweat of organising the ticket system in those days before electronic registration. Then there were the wretched readers who would keep putting books back in the wrong place... No, I decided after work experience, being a librarian was not for me. There was a puzzled silence before the man said, 'I don't see them. You know, the Blue Books – the government reports.' Somewhat red-faced, she made a quick recovery. 'Oh! I'm so sorry, they must have been moved. We'll look in the reference library.' She was awfully nice to him after that. So even though the job wasn't for me, I still love libraries and visit a lot of them to give talks. They're absolutely the nicest audiences – not surprising, really, because they are the real book-lovers. I’ve worked with a lot of strong personalities in my television writing career. Actors, directors, executives, other writers. Most have been hilarious and wonderful. Three drove me to fantasies of murder. The first was a fellow writer on a popular sitcom that will remain nameless. He was arrogant, yet threatened by other writers’ talent – especially women writers, because he also happened to be sexist. He talked about his co-workers behind their backs, and in a business where perception is everything, his badmouthing cost people jobs. I wanted to KILL him. Being a relatively sane person, that was out of the question. So instead, I took a mystery writing class so I could kill him off on paper. 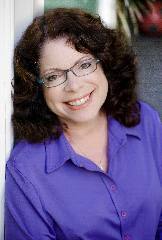 I signed up for a UCLA Writers’ Extension class taught by the inimitable Jerrilyn Farmer, and decided to write a mystery that took place during a sitcom production season. (Hmm, wonder where I got that idea?) The victim was the writer I despised, of course. I wrote a chapter, read it in class, and awaited acclaim. Instead, I got a tepid response. Then the other students shared their work. I was the only professional writer in the class – and my work was the least interesting. I wanted to hear a second chapter of everyone’s book but my own. I didn’t try writing a mystery again for twelve years. And that’s where the other two awful co-workers come in. I returned to TV and worked on a variety of sitcoms with great writing staffs. Then I landed on a show where two of the guys at the top were, in different ways, the unpleasant equal of Despised Writer #1. Both were dismissive, cold, superior, and judgmental. If I told you my fantasies of their demise, you’d consider having me committed. There was only one way to rid myself of the vitriol I felt toward them…try writing another mystery. This time I created a completely different world from television. My protagonist was a school psychologist at L.A.’s ritziest private school. And I didn’t make my bosses the murder victims. I made them repugnant suspects. That manuscript didn’t sell, but it did win a William F. Deeck-Malice Domestic Grant for unpublished authors and eventually landed me a book agent. My third mystery, Plantation Shudders, is a one-eighty from both previous mystery attempts. It’s a cozy set in a charming fictional Louisiana village, and even comes with recipes. 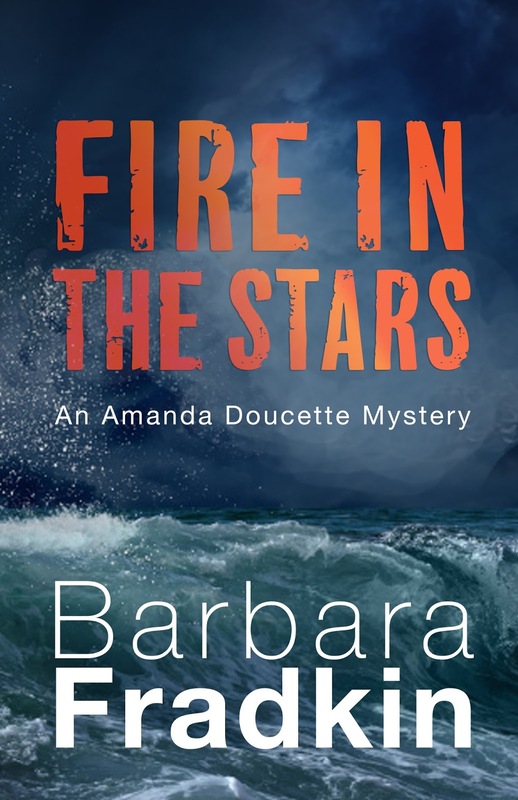 But vestiges of the Hollywood writers I wanted to kill can be found in the quirky Southern characters who inhabit my Cajun Country Mystery series. Despised Writers #1, 2, and 3 would never recognize themselves, but I got great pleasure from poisoning them with my pen. I’ve expanded my murderous literary reach to rid friends of people who’ve wronged them. Need a personal enemy killed or arrested? Let me fire up my computer. While many of my life experiences have found their way into my plays and screenplays, writing mysteries fulfills me in a different and devious way. It’s reassuring to know that if I ever experience a horrible co-worker or boss again, or if anyone I care about has someone evil in the life, I am quite capable of murder. At least on the page. Ellen's debut novel, Plantation Shudders, made the USA Today Bestsellers list, and was nominated for Agatha, Lefty, and Daphne awards. 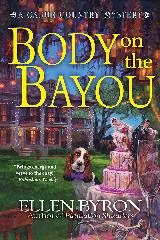 The second book in her Cajun Country Mystery Series, Body on the Bayou, offers “everything a cozy reader could want,” according to Publishers Weekly. Labels: "Body in the Bayou", "Ellen Byron", "Plantation Shudders"
Fractured Families will be published in March and now I'm thinking about my next book. I have not decided on a title. My mysteries begin with an image. Getting back to Kansas to do the research will be difficult to arrange because it's a long drive. The trip must be arranged before the snow flies. I want to visit one of the "Eight Wonders of Kansas"--the salt museum in Hutchinson. The tour takes vistors 650 feet underground. There are only two other underground salt museums in the world and they are in Poland and Austria. The underground storage vaults in the Kansas Salt Museum contain millions of priceless documents from all over the world. The original negatives for Gone With the Wind and Ben Hur are stored there along with a vast number of other films. A great deal of valuable art was stored there during World War II. It's one of the largest bedded salt deposits in the world and is still mined today. Over 500,000 ton of rock salt is removed this year. Last week I gave a presentation to the Graham County historical society and wanted to continue to Eastern Kansas but had other obligations back here in Colorado. I can find out a lot about the Salt Mine from internet research, but it's no substitute for descending into the shaft and experiencing the icy terror of being hundreds of feet under the ground. Imagine being one of the early miners. Today it houses an active business that offers impeccable security for data and treasures. Needless to say it offers a level of protection most of us do not need. I'm going to start my book anyway. After all, it's the story not the background that should be center front. Whatever I write requires rewriting, but the urge to go East is becoming stronger each week. Maybe my Muse is trying to tell me something. I'm writing something new, something I hope will launch a series. I've spent a lot of time pre-writing. I have an outline I like (you know me and outlines: it's a starting point and a safety net). I have characters I would enjoy growing over years, a husband-wife team. What I'm toying with is the point of view, usually something I never second-guess. I've written a present-tense, first-person opening, and I've written a third-person, multiple-POV opening — each running close to 40 pages — and now I want to try a first-person, past-tense voice. I grew up reading Robert B. Parker, Ross Macdonald, John D. MacDonald, Sue Grafton, Sara Paretsky, and others writing in that vein. As a reader, I enjoy the walk-behind-the-character-and-view-the-world-through-the-speaker's-eyes vantagepoint. It offers an intimate relationship with the speaker and just maybe with the writer. I'm reading Philip Roth's Exit Ghost right now and pause every few pages to reread a passage. The plot isn't pulling me along; however, the narrator's voice and Roth's turn-of-phrase is providing any and all narrative tension. Also, it's difficult to separate plot from character when we're dealing with first-person protagonists. The plot is limited by the knowledge and capabilities of your speaker, and when you feature the first-person voice, you must allow readers an in-depth knowledge of your character's limitations; you must play fair with readers, far more so than when writing in the third-person voice. You've got to show your hand often. I enjoy this type of writing — exploring the depths (and shallows) of my characters. I like that it's akin to acting — stepping into voice and playing the part for a few hours a day. Third-person doesn't provide me the same type of experience. So I have two partials sitting on my desk and will write the same book from a third vantage point now, the first-person past-tense. It's all a unique and fresh writing experience. I’ve loved libraries ever since I was a little kid. I couldn’t wait for my parents to drive me there so I could look through the stacks of books and pick out the next ones to read. That’s one thing I missed when we lived on a farm in Oregon for a year. That was most of 2nd and part of 3rd grade. There were no public libraries in a reasonable distance and it didn’t take me long to get through all the books in the small “library” of the two-room schoolhouse I attended. I still love libraries. So it's quite a kick for me to do an event at one. 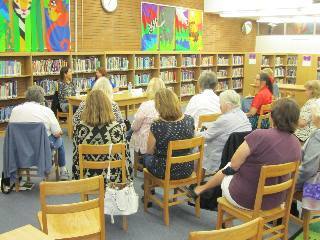 I recently visited the Wiseburn Library in Hawthorne, CA where fellow SinC/LA member Sarah M. Chen and I had a great time discussing the differences between writing light and dark mysteries with a great group of attendees who asked all kinds of interesting questions. You may remember I wrote a post on briefly visiting the “dark side” awhile back in preparation for this event. Here I am at my table before the event. The more I learn about the modern library, the more I realize they’re great places to connect with readers. The Orange County Library system here in Southern California not only features branch events but also puts together a literary event every year called Literary Orange. This day long celebration usually features 2 keynote speakers and around 15 author panels with 35-40 authors. 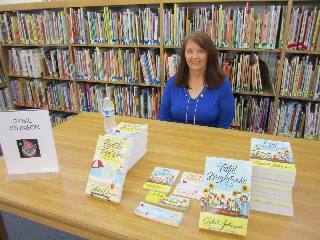 And every June the city of El Segundo holds an author fair at the city’s library featuring Southern California authors. I’m sure there’s a lot more going on around here and probably a lot in your area too. So, Type M readers, do you have favorite events that your local library puts on? Labels: "Los Angeles County Library", "Sarah M. Chen", "wiseburn library"
Like all published authors, I have been buttonholed many times at parties, meetings, book signings and even once at a funeral (!) by people who’ve written a novel (or a book of some sort) and want to know what to do next. The inevitable question is: How do I find a publisher? Sometimes they ask if I have an agent, and if so, would I help them get their manuscript in to him? Now, I don’t mind helping people, but after the fiftieth such request, it gets a little old. First of all, I’m not going to contact my publisher or agent and recommend your work unless I’ve read it and found it good enough. By recommending someone, I’m putting my reputation on the line, too. Second, doing that takes a lot of time and I have little enough of that to spare. Look, I just met you and now you want me to grant you a very large favour just because you asked and are a nice person? But besides the effrontery of such a request, there is something else that bothers me even more. These people want to become a published author but they don’t know anything about the business and haven’t bothered to educate themselves? If I were blunt enough to say that, my guess is they would get quite angry — but that doesn’t make it any less true. I’ve been around for quite awhile now, and I’ve worked hard to learn a lot of things about the book publishing game, and it’s a good assumption by the neophyte that I could supply them with a lot of useful information. But what they don’t realize is that their request that I help them shows me that they aren’t really prepared to be an author. What I’m going to tell them from what I’ve worked hard to find out is also easily found on many websites, blogs and in numerous books. The really shocking thing, though, is that these people are also telling me that they’re going into a very complicated business with zero knowledge of what’s involved, and what’s expected of them (a lot) besides good writing. It’s much akin to someone who’s received a compass as a present. That person then decides they’re going to become a great explorer and immediately leaves for the Amazon jungle, packing only their new compass (with little idea how to use it). How successful do you think they’re going to be? Becoming a published author and then attaining enough success to keep going is a very tough accomplishment. The first order of things on the path to authorial success is to learn as much as you can about the job description. That requires hours of research and reading. Even if I were to pass you on to my agent, you need to know how things work and what the expectations are. Until you know that, you’re just a babe in the jungle. Don’t get me wrong. Someone who has produced a novel — no matter how good or bad it is — has achieved a major accomplishment. When I tell them that they’re barely halfway there, I am greeted by blank expressions or downright unhappiness. (“What? I’m not even close to my goal?”) It’s sad to disillusion nice people, but I would be doing them no favours by telling them what they want to hear. A writer who doesn’t know the ropes is a writer who is going to risk falling on their face at best, and at worst, they’re going to be taken advantage of — sometimes in a huge way. I know of more than one author who signed away the rights to their series character in order to get their book published. How stupid is that? The publisher said, “No deal unless we get this.” Any sane person would have walked. 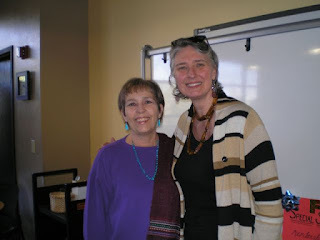 Most authors, me included, are more than willing to point the budding author in the right direction (First on my list is How to Get Happily Published* by Judith Applebaum), but please don’t expect us to grab your hand and take you where you want to go — especially if you’re just meeting us for the first time! *And I purposely didn’t give a link for finding this book online. Labels: helping the budding author, why you need to educate yourself about the publishing business BEFORE you finish your manuscript. I've been thinking about the question my colleagues have been discussing about what is required to become a competent writer -- innate talent, hard work, acquiring craft-related skills? As I was thinking about that I read Donis's post yesterday about the challenges of a long-running series. My Lizzie Stuart series is only up to the fifth book. In fact, after the fifth book was published back in 2011, I wrote two Hannah McCabe books. In July 2014, a Lizzie Stuart short story (inspired by some research I was doing) was published in Ellery Queen Mystery Magazine. But the short story did not move the characters forward. They have been in limbo for five years. And now it's a few months later in series times, and I'm at work on Lizzie Stuart mystery Number 6. I'm writing this book because I have a story that I really want to tell. I'm also writing it because I hear from readers who they love the series and when am I going to do another book? Was that the last? What writer can resist when readers care about her or his characters and are waiting to find out what's happening in their lives? Donis raised the issue of the character-arc. If the characters' lives are changing over the course of the series, how does one make each book in a series a stand-alone? I have always struggled with that. I can truthfully tell a potential reader that she can pick up any book in my Lizzie Stuart series and read a murder mystery that is complete in itself. No, one need not read the first Hannah McCabe novel before reading the second. But if a reader says that she likes to read a series in order because of the evolving relationships, I don't try to talk her out of that approach. As a reader, I have often picked up a book mid-series and then gone back to "catch-up" before moving on. I like relationships and back stories. That's one of the reasons I read any book, including a mystery. But even though I struggle with the character arc dilemma, I have gotten better at dealing with it. I can now slip in back story here and there, without having Lizzie stop to say, "Two years ago when I was in Cornwall, I was involved in a murder case and that's when . . ." I'm a bit more subtle these days. That brings me to the discussion we've been having about innate talent vs. hard work to acquire craft. I know I started out with imagination. From the time I was a small child, I told myself bedtime stories with recurring characters. When I was older, I started to write those stories down. But the process of becoming a functioning writer required that I discipline my imagination and hone any innate talent I may have possessed. Aside from the basics of grammar and story structure, I had to learn the discipline of getting out of my comfortable chair (where I was thinking about my book) and going to my desk to get it down on paper. I had to learn the discipline of revising and revising and revising. I had to learn the discipline -- and develop a thick enough skin -- to sit quietly and listen and then ask lots of questions when someone I had asked to critique what I had written gave me an honest opinion. I had to learn the discipline not to rush the story, to let it evolve, and take wrong turns, to wait for all the pieces to fall into place. I think that may be the difference between talented amateurs and professional writers. Having talent and imagination means nothing until one learns discipline. It's hard and frustrating, especially when working hard doesn't mean that one rises to the top of the New York Times bestseller list. But, on the other hand, discipline is good for the soul. And writing may be the one area in my life where I manage to consistently do what I should do. My ninth Alafair Tucker mystery (The Return of the Raven Mocker) is coming out in January of 2017. That's four months from now. And yet I’m already working on book ten. When I first began writing the Alafair Tucker Mystery series, I had a story arc in mind that was going to carry through ten books. This is a wonderful idea, but as anyone who has ever written a long series knows, after a couple of books all your plans for a story arc have been knocked into a cocked hat. So much for a ten book arc. I think there will end up being twelve or thirteen books. I want to get all Alafair's kids out of the house and settled. Besides, I really want readers to be able to pick up any book in the series and have a satisfying experience without having to know anything about what went before. This poses the million dollar question for the author of a long series: How do you keep it fresh? How do you make every story stand alone, yet in its place as well? How do you keep from repeating yourself, or losing your spark? For each book I must come up with a compelling reason for a farm wife and mother of ten to get involved in a murder investigation. I also have to figure out a convincing way for her to either solve the murder or at least contribute to the solution, which as you might guess, isn’t that easy. I have found over the course of nine books in the same series that I have begun to depart from the usual mystery novel format. The murders take place later and later in the story with each book I write. The later books are constructed more like thrillers than puzzles. In book seven, Hell With the Lid Blown Off, I told the reader who was going to die in the first sentence, but didn’t actually kill him for a hundred pages. In book eight, All Men Fear Me, we kind of knew who was doing at least some of the killing. But the question became why, and was there more than one killer. In book nine, Raven Mocker, I immediately start out with the information that we have the wrong guy. In the learning of an art, just how far will talent get you? Continuing on my topic two Tuesdays ago (How much do you need to know to successfully write a novel? ), and building on what some of the other folks here on Type M have contributed in posts and comments since, I’d like to consider what the title of this week’s post suggests: if you have a talent for writing and storytelling, what else do you need to realize your ability? Aline spoke about “nature and nurture” yesterday, and that’s a concept very important to this conversation. Take it from me as both a writer and a musician: you can have all the ability in the world (nature), but you must also study and work hard (nurture) to have any chance for success. As an example, no one says to themselves, “I think I can be a great guitarist!” then picks up an instrument, walks onto a stage and the world falls at their feet exclaiming on the sheer brilliance of their playing. Believe me, you have to spend many, many hours, slaving hard to master any instrument. Whether being guided by a teacher or picking things up on your own, you have to train muscles and memory to excel as a musician. It’s much the same with writing. 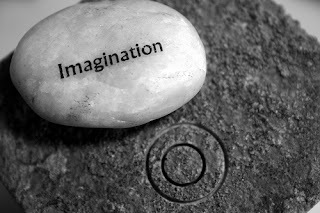 Whether you take creative writing lessons, work with a “master writer” or editor or simply take careful note of what other writers (good ones) do to tell their stories, time must be put in, analysis of the results made, and then multiple revisions undertaken to polish the prose so that the story not only comes out the way the author wants it to, but that it’s also intelligible to readers. That takes (learnable) skill and dedication. So the bottom line here is, for any art form, the artist must be willing to put in the many hours needed to learn their craft. Can many of the fine points be taught to someone who has little or no natural talent? Sure. When I was teaching instrumental music in schools, I had whole classes filled with kids who had little natural ability to excel on an instrument. But if they would work hard, all of them could learn to play at an acceptable — and dare I say pleasant — level. It works the same with writing. But in the above two examples, can everyone become great musicians and writers? No. The innate talent also has to be present. To answer this week’s question, if you have talent, you can be brought to a level that will allow you to realize that talent (and there are certainly different levels of talent), but anyone undertaking this must be willing to put in the hard hours studying whatever art form you undertake to learn. To my mind this means that there must be both nature and nurture to realize the potential that you carry within you. I've come to this topic late having missed my post last week - sorry, sorry, an invasion of grandchildren put it right out of my head. But Rick's question about talent v tutelage, and the response from the others, really interests me. If you've had a good agent or a good editor, you know that their comments and suggestions can improve your book. I've been grateful for that many times in the past, and some of what they have said has changed my writing afterwards. I've gone to lectures where a speaker has said something that has made a difference: I am still grateful many, many years later to Diane Doubtfire (yes, that was genuinely her name) who taught me that changing POV within a scene, unless very carefully managed, makes readers feel as if they are watching a tennis match from the sidelines, turning their heads first one way then the other. The University of East Anglia with its celebrated creative writing department has alumni like Kasuo Ishiguro, Ian McEwan and Rose Tremain. We can't know how successful they'd have been anyway, but it certainly didn't do them any harm. I'm not sure I believe, though, that the magic could have been worked on someone without innate talent – that funny, sixth sense we all have that tells us when something we're writing sings and soars and when it's just trudging along in its sturdy shoes. Like Barbara, I had no family background in creative writing (though I have fond hopes for one of the aforementioned grandchildren following in my footsteps!) and like her I began to read and write very early. I wasn't one of those children who tells stories to their siblings, though I always knew I was a writer. For me it was a very private occupation, a story I told myself as I wrote and saying it out loud would break the spell. I had to write. 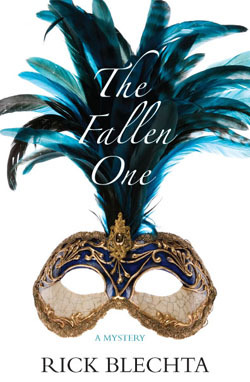 And while I don't altogether go along with John Milton that it is 'that one talent which is death to hide' (DI Fleming isn't quite in the same category as Paradise Lost, after all ) I would feel guilty if I didn't use it. But to be honest, if someone has no inner drive to tell a story, and no ear for the use of language, I don't believe that any training, however good, can make that person a writer. In the old Scots saying, which I guess probably has an American equivalent, you can't make a silk purse out of a sow's lug. (ear). Labels: "Diane Doubtfire", "Kasuo Ishiguro""ian McEwan", "Rose Tremain"
I did a lot of strange research for my up-coming mystery, Fractured Families, which will be published March 2017. This is the first book to feature a serial killer. My mysteries have varied from one type to another. That is probably not a good idea. It wasn't planned. It's just the way the stories have worked out. Deadly Descent is more of a traditional mystery with a healthy dollop of suspense. Lethal Lineage is a locked room mystery. It was the pits to write and more than a little scary from a construction viewpoint. Locked room mysteries are fiendishly difficult to write and the readers are a savage lot. They pounce on any inconsistency. Hidden Heritage contained a secret. Back to a more traditional mystery again, with a strong mix of history. It dealt with water rights which will soon be the most lethal worldwide fight in this century. The impetus to write each book has involved a powerful image. In the case of Deadly Descent it was a line from my favorite book of poetry, The Spoon River Anthology. A woman was standing in the crowd murmuring, "my son, my son," while a politician was giving a speech. With Lethal Lineage it was a female priest dropping the chalice during communion. The image in Hidden Heritage was that of a man drowning in a livestock truckline's washout pit. For the new one, Fractured Families. . . well, let's just say a totally soulless serial killer was essential. The words psychopaths and sociopaths are used interchangeably. Usually. Mostly. My editor asked for the proper word for describing my villain and I chose psychopath rather than sociopath because of the work done by some psychiatrists who describe psychopaths as being the more organized and intelligent of the two. And scarily enough quite a number of them had loving families. In fact, most psychopaths and sociopaths are not killers. But they can sure play thunder in the workplace and in people's lives. One of most fascinating books was Snakes In Suits which described the chaos caused in the workplace by evil calculating persons who don't hesitate to ruin others' career and cause havoc. I'm a rather peaceful soul by nature. I hope the image for my next book is something less scary. Labels: images, psychopaths, serial killers, Snakes In Suits, sociopaths, Spoon River Anthology. Fall is upon us, kids are moving back to my boarding school, and I'm running department meetings and preparing for 46 kids to populate my dorm. Just dropped my oldest daughter at Kenyon College (why does a father's little girl feel to study and play lacrosse 10 hours from home?). In short, life is going 100 miles an hour, and I'm trying to keep pace. And amid it all, the best part of my day continues to happen either predawn or just before midnight – when I can steal an hour or two to write. I'm working from an outline this year, a first, for me. Several times in the past, I've written a five- or six-page synopsis. This time, knowing how busy I will be, knowing, too, I want to give my agent something she can sink her teeth into as we discuss the work-in-progress, I spent roughly a month on a 7,000-word, detailed outline – plenty of particulars on the roadmap for me to know where I'm going, but still enough room to explore and to be surprised. I attended the keynote at Sleuthfest a few years back when Jeffrey Deaver said he spends 8 months on an outline and 3 months to write a book. I'm not nearly there, but I'm sure seeing the merits, and I'm not driving to edge of my headlights, which is how I usually work. So far, so good. I'm enjoying it and love having the safety net: It allows me to write for an hour and a half before work, then not waste time when I steal 30 minutes here and there throughout my day. I'm also enjoying the subject matter. My work life and my writing life are intersecting in this book – it's set at a New England boarding school. I just finished and am now rereading (something I don't often do) Blacklist, by Sara Paretsky. It's not a new book (2004), but it remains relevant and important. Issues including race and money in the criminal justice system and something touching very close to McCarthyism post 9/11 are explored. 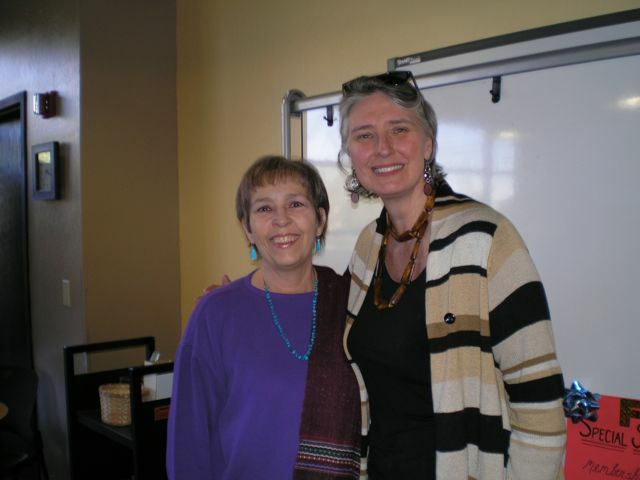 These topics are rich, and Paretsky cultivates them very well – as she so often has and continues to do. She is, simply put, a tour de force. Yet it's a thematic work. No question. And in that way, Paretsky has an agenda and is providing questions for me to ponder, all the while spinning a great yarn. Like all writers, my reading life feeds my writing life in ways I both know and don't know. Paretsky has me considering the adage I have heard so many times: "Theme is a critic's word, not a writer's." I'm sure I'll revisit this statement in an upcoming post, but I'd love to launch the thread here and see what others have to say about it. Should a writer be contemplating theme when at the keyboard?